After dropping the first game of a three game weekend set in Tampa against the Rays, the Yankees looked to get back on track sending their number one starter Masahiro Tanaka to the mound. 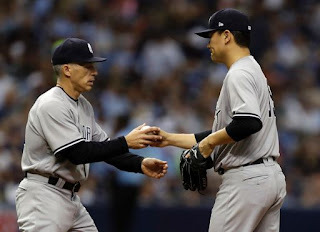 Tanaka struggled mightily on Derek Jeter night in his last start, failing to get through the second inning and he didn't have good stuff once again digging the Yankees a big hole that they could not recover from. The Rays offense began teeing off on Tanaka right away after Corey Dickerson hit a leadoff home run to put the Rays ahead 1-0. Aaron Judge would come to the plate in the top of the second inning and his his Major League leading 15th bomb to tie the game at one. However, Tanaka ran himself into more trouble in the bottom of the second which led to an RBI double from Jesus Sucre to put the Rays ahead 2-1. The Rays scored their third run of the afternoon on a solo home run from Evan Longoria. The Yankees got back into the game in the top of the fourth inning after Chase Headley doubled home two runs to tie the game at three. Unfortunately, Tanaka could not record an out in the bottom of the fourth, eventually surrendering a three-run bomb to Dickerson, his second homer of the game. Tanaka then allowed two more singles before being lifted for the game in favor of Tommy Layne. Layne did a nice job limiting the damage to keep the score at 6-3. 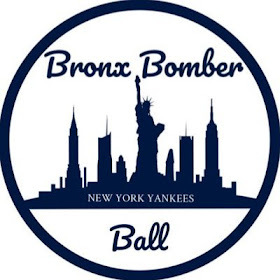 The Bronx Bombers continued to chip away in the top of the fifth on Gary Sanchez's fifth home run of the season. His solo shot pulled the Yankees within two heading into the bottom half of the fifth. The runs continued to pile on for the Rays in the bottom half of the inning. In Dickerson's third at-bat of the afternoon, Layne hit him with a high and tight fastball setting up for an interesting situation in the next half inning. The Rays would score the seventh run of the afternoon on a Kevin Kiermaier RBI single which led Joe Girardi to calling on Giovanny Gallegos from the bullpen. Gallegos could not escape any further damage as he allowed two more runs to come home that inning moving the score to 9-4. Layne ended the day allowing three earned runs over just 1.1 innings pitched. Both Larry Rothschild and Girardi were ejected in the top of the fifth inning for arguing balls and strikes. Rothschild went to the mound to visit Gallegos and was thrown out in an anticlimactic scene, but Girardi made sure to get his money's worth. After the argument began to escalate leading to Girardi officially being tossed, the Yankee manager went and covered home plate in dirt expressing his disliking to home plate umpire Scott Barry's strikezone. These two would not be the only ejections of the afternoon. 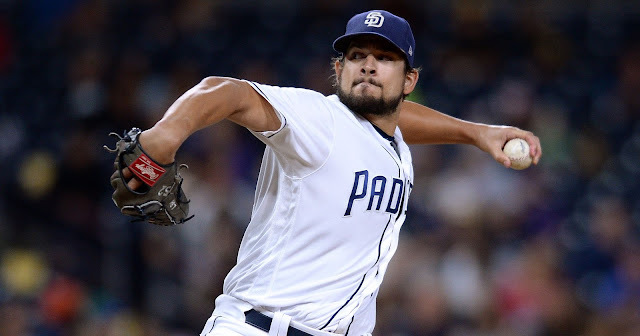 With his pitch count running high, the sixth inning started with Rays starter Matt Andriese plunking Judge in retaliation, which led to his immediate ejection. 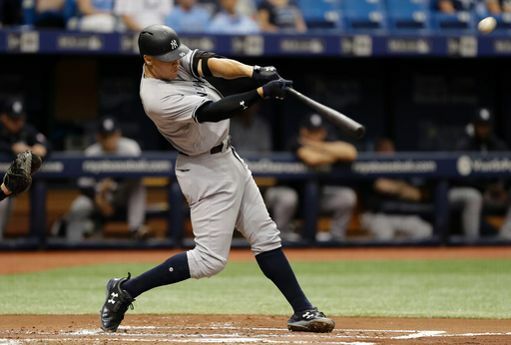 Jacoby Ellsbury followed that up with a double off former Yankee Chase Whitley and the Yankees were threatening the start the sixth. They were only able to score one run though, on an RBI groundout from Headley. 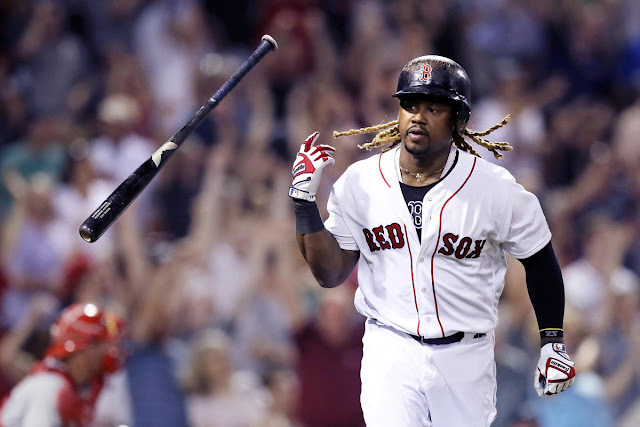 Despite solid offensive starts from both ball clubs scoring all their runs in the first six innings, neither team would score another run in the final three innings of the game. The Yankees will look to avoid the sweep at the hands of their division foe in a Sunday afternoon game where they will send CC Sabathia to the mound. Sabathia will look to get back on track against Chris Archer of the Rays who is putting together a nice bounce-back season.